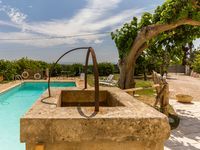 Property 26: Masseria Sant'Elia "Il Noce"
Masseria Sant'Elia - "Il Melograno"
Property 27: Masseria Sant'Elia - "Il Melograno"
Masseria Sant'Elia - "Il Carrubbo"
Property 29: Masseria Sant'Elia - "Il Carrubbo"
Property 30: Masseria Sant'Elia - "L'Ulivo"
We were very happy with this private, peaceful, friendly and safe place. Salvo and Paul were very kind and answered all our questions. Thank you, Salvo, for taking the time to tell us all about Avola and indicating the places we might find interesting. We had everything we needed in the apartment ... it was super quiet at night. Parking was secure. The wifi worked great! We enjoyed walking around the property. We visited Siracusa, Noto, Modica and Marzamemi from here. 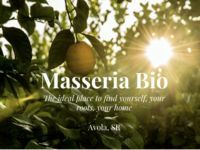 If you are looking for a peaceful, authentic Sicilian retreat with few animals this is the place. The house has beautiful, original features and retro furniture. The garden is large and has loads of herbs, lemon trees and other stunning plants. It's is quiet location but close to Avola, Noto, Siracusa and few pretty beaches. However it is not only the house that was excellent but mostly our fantastic host Corrado. He is one in a million! A perfect host, his hospitality and generosity knows no boundaries. We are truly grateful for a fantastic stay and have no hesitation recommending and hopefully returning.